Our customer care representatives are available to help answer any questions about our blood glucose monitoring systems. But you may find it more convenient to get your answer from our FAQs. We’ve collated our most frequently asked questions below. We hope you find them useful. How can I get a new logbook? How can I find the serial number of my OneTouch® meter? The Serial Number (SN) is located on the back of your OneTouch® meter and on the meter box. Where can I find the lot number of the test strips? The test strip lot number (LOT) is located directly on the test strip vial label and on the test strip box. Where can I find the lot number of the control solution? The control solution lot number (LOT) is located directly on the control solution vial and on the control solution box. 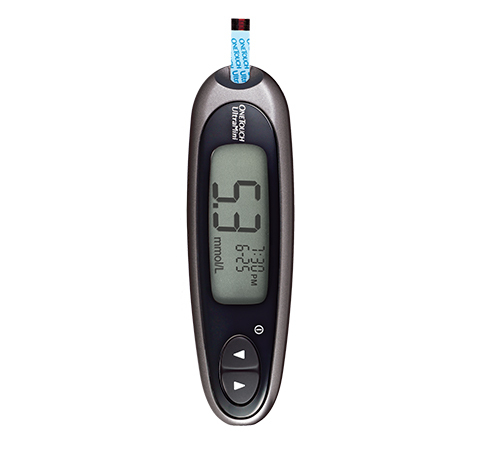 How can I register my blood glucose meter? 3) Contacting OneTouch® Customer Care @ 1 800 663-5521. Please make sure you have your meter available to make the registration process simple. 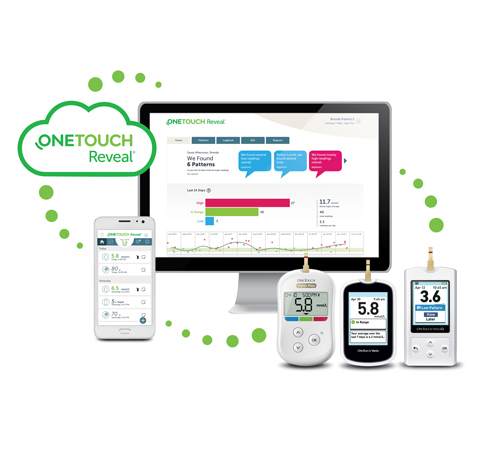 Why should I register my OneTouch® meter? 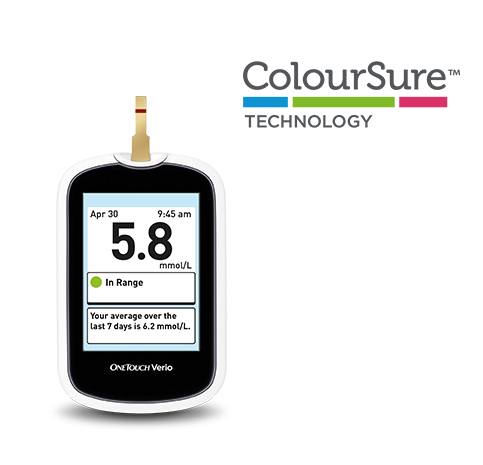 By registering your OneTouch® meter we can provide you with product updates, useful information and ongoing support to help you manage your diabetes. How long is the meter guaranteed? LifeScan guarantees that the OneTouch® meters will be free of defects in material and workmanship for three years, valid from the date of purchase. The guarantee extends only to the original purchaser and is not transferable. My OneTouch® meter is broken, how can I get a new one? If you think your OneTouch® meter is broken you can review the product FAQs for online help or contact OneTouch® Customer Care @ 1-800-663-5521. Please make sure you have the meter and test strips with you when you call. Alternatively, contact your healthcare professional. My OneTouch® meter has gone missing, how can I get a new one? 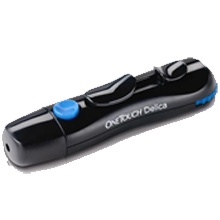 In case your OneTouch® meter goes missing, please contact OneTouch® Customer Care @ 1-800-663-5521. Alternatively, contact your healthcare professional. 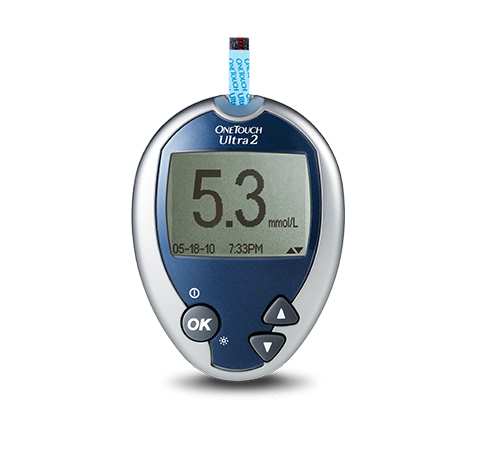 My OneTouch® blood glucose meter doesn't seem to work properly. What should I do? If you are experiencing problems with your OneTouch® meter, please first check the "Troubleshooting" section in your Owner’s Booklet. If you are still experiencing problems, please contact OneTouch® Customer Care @ 1-800-663-5521 and we'll do everything we can to help resolve the problem. Please make sure you have your meter and test strips available when you call. My meter shows an Error Message. What should I do? 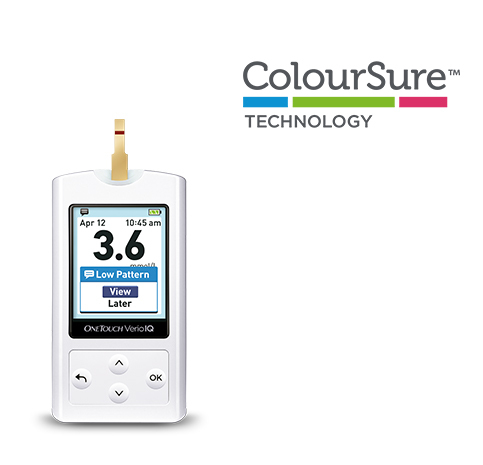 I have compared my blood glucose results of my new OneTouch® meter to another meter and have received different results. Why do the results differ from each other? Comparing your blood glucose test results taken with this meter to your results taken from a different meter is not recommended. Results may differ between meters and are not a useful measure of whether your meter is working properly. How can I get test strips for my OneTouch® meter? 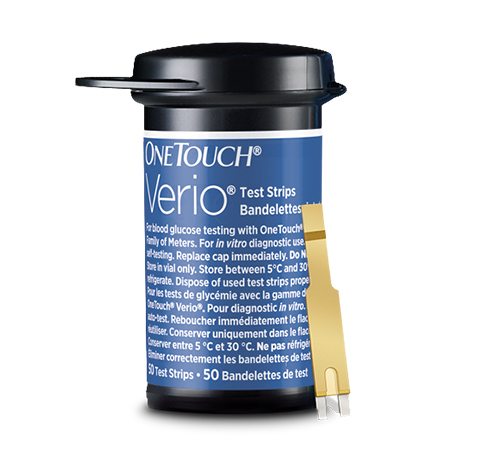 OneTouch® test strips are sold separately and may not be included in the meter kit. For availability of test strips, please contact OneTouch® Customer Care @ 1-800-663-5521 or ask your pharmacist or healthcare professional. Can all OneTouch® test strips be used for all OneTouch® meters? No, not all OneTouch® test strips are compatible with all OneTouch® meters. 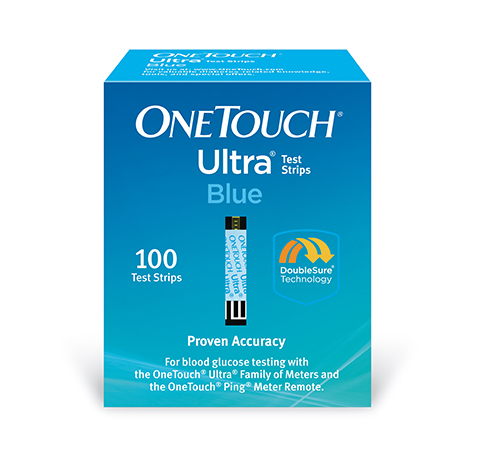 Please read more about which test strips are right for your OneTouch® meter in the Product pages or refer to your Owner’s Booklet. If you have any doubt about which test strips you should use, please contact OneTouch® Customer Care @ 1-800-663-5521 or your healthcare professional. Will my old test strips work with my new meter? Please read more about which test strips should be used for your OneTouch® meter in the product pages or refer to your Owner’s Booklet. If you have any doubt about which test strips you should use, please contact OneTouch® Customer Care @ 1-800-663-5521 or your healthcare professional. 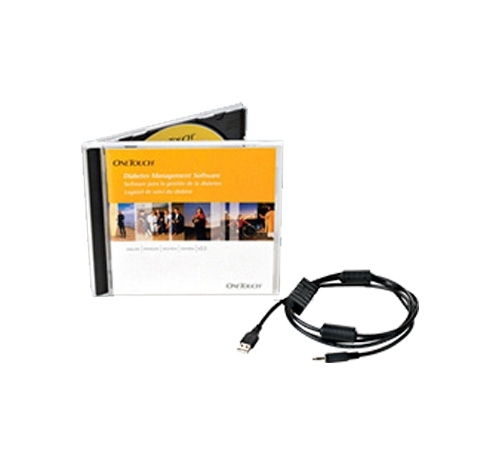 How can I get control solution for my OneTouch® meter? OneTouch® control solutions are sold separately and may not be included in your meter kit. 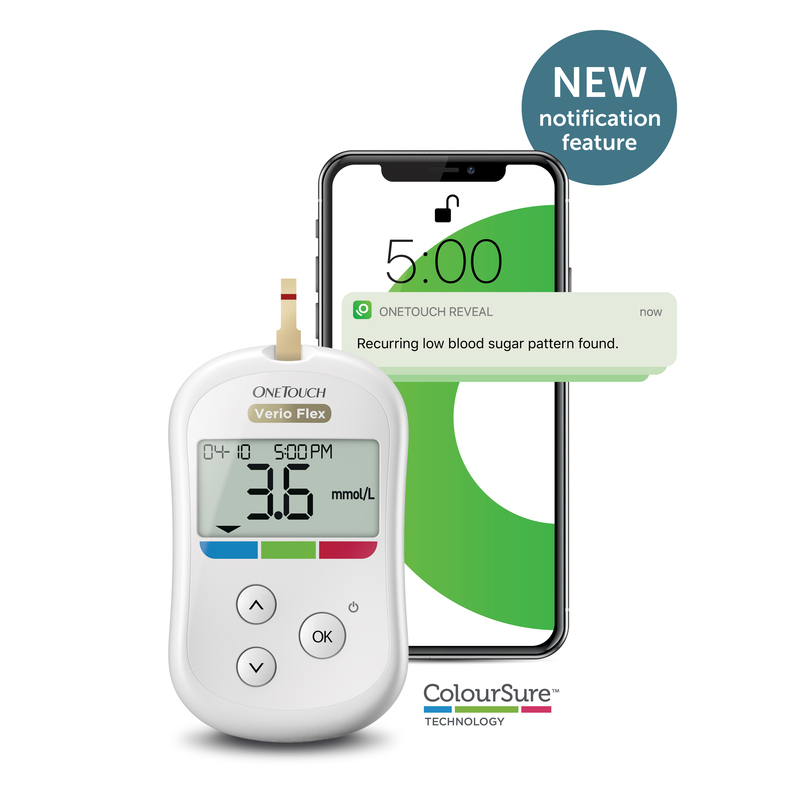 For availability of control solution, please contact OneTouch® Customer Care @ 1-800-663-5521 or ask your pharmacist or healthcare professional.